Loomo can follow the rider autonomously as a robot sidekick, and also has a playful personality. Loomo also comes with a free Android-based SDK for professional developers and enthusiasts alike to build on top of Segway's mobility + AI platform. Technology is rapidly outpacing many traditional educational institutions, as they are prone to being slowed by bureaucracy and arent agile enough to embrace the necessary changes needed to provide employable graduates to todays workforce. The two sides will join hands to explore the service robot market in China's smart store and smart home fields, starting with SBRG's humanoid robot 'Pepper'. Also the two parties will jointly develop special version of Pepper for Smart Store &Smart Home which is based on U+OS, an open system developed by Haier. 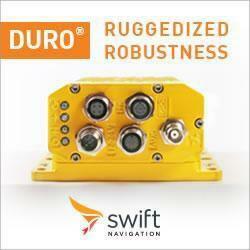 Hydro-Qu�bec has developed a robot to inspect transmission line conductor bundles. This world first is a product of the inspection and maintenance robotics team that works out of the companys research centre, IREQ. Flippy will begin working alongside kitchen staff at CaliBurgers Pasadena, California location during lunchtime by flipping burger patties and removing them from the grill when cooked to order. The partnership expands the presence of Miso Robotics collaborative, adaptable robotic kitchen assistants, which will help kitchen staff provide speedy and tasty food options to on-the-go sports fans and concert goers. While technology replaces some jobs throughout the world, industrial inspection technology makes human inspection far more more accurate. There will be some exciting new additions including two co-located events covering the latest business trends in Blockchain and IoT, new topics, keynotes and a larger expo!